It's no more a mere dream to to have the start menu back in Windows as Microsoft confirmed that the Start menu will be back to it's original place making new users feel home and familiar. Also the start menu will contain live tiles which will make Store apps easily accessible right from the desktop. 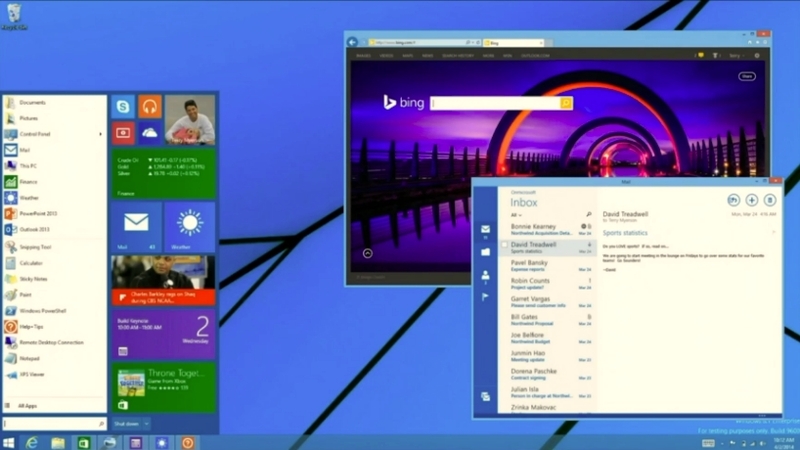 Microsoft has not talked about the next major version of Windows, Windows 9. Designers across the world are imagining the next version of Windows in the form of their concepts. In fact concepts don't exist in real life but they convey the users need and the features that the users want in the future versions.Make no mistake, Windows 9 Redesign/Concept 1.0 by Reymond-P-Scene is just another beautiful concept which shows what might be the future of Windows. The Start menu is back and the tiles let you control the app without actually opening the app, have a look at the Spotify tiles. The start menu also allows you to create a folder from where you can launch probably anything. The lockscreen also sports new option like voice lock and a Picture password button.Also the new Windows features Cortana the personal voice assistant which is available in Windows Phone 8.1.Go to to the Deviant Art website to see the concept completely. What do you think about this concept ? We all know that Microsoft is planning to launch the most anticipated feature, the start menu to Windows 8.1 as a update to the OS which will be released in the near future. 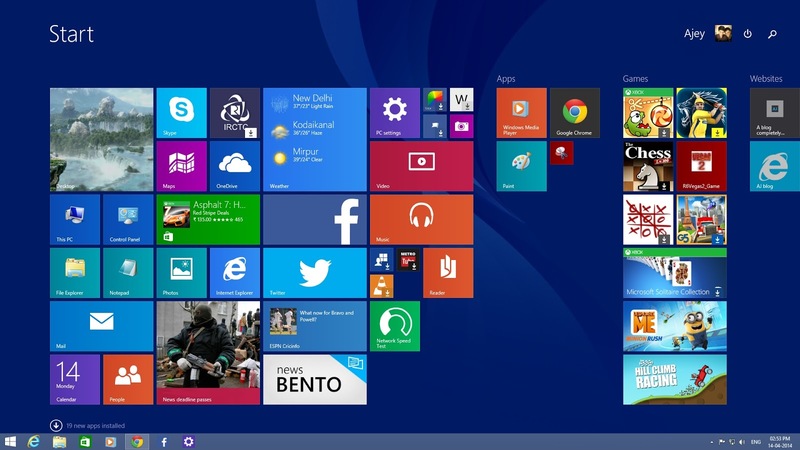 The start menu in Windows 8.1 brings the best of both worlds, the modern apps and traditional desktop. Microsoft has not announced when the update will be released to users. The start menu opens up a a more familiar UI which was carried from Windows 7 but with a bit bigger buttons and also the right panel of start menu will host the live tiles which lets you open your favorite metro apps easily. The power buttons are still in the same place as it is now in Windows 7. Terry Myerson, Microsoft executive Vice president of Operating systems said “We're not stepping back. We totally believe in touch. Touch is just fantastic. But there are hundreds of millions of new PCs shipping every year without touch. We want to support those. We want our customers to love our products. If they come to us and say I'd love it more if it supported this, we want to be a company that listens and responds and responds quickly,”. he added that “The reason we (showed) that work is we thought it was important to share with developers. When do I deliver it? I really don't have anything to share there. We're just not ready yet,”. The Start menu and the ability to run Modern apps is not yet ready for users but Microsoft will bring the new features very soon to Windows 8.1 as it is expected to boost the performance of the latest version of Windows. 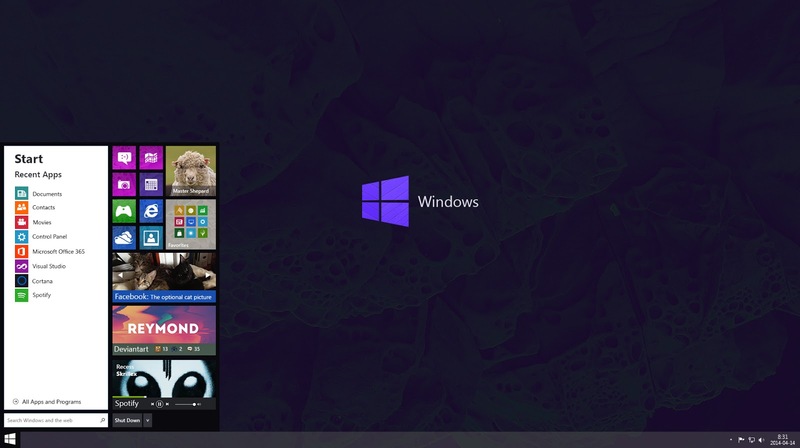 The users wanted it so Microsoft has added the Start menu back to it's place with a customizable modern app tiles panel . This photo was taken from BUILD 2014 which is currently happening in San Francisco. Microsoft also took the chance to introduce the new touch based version of Office. 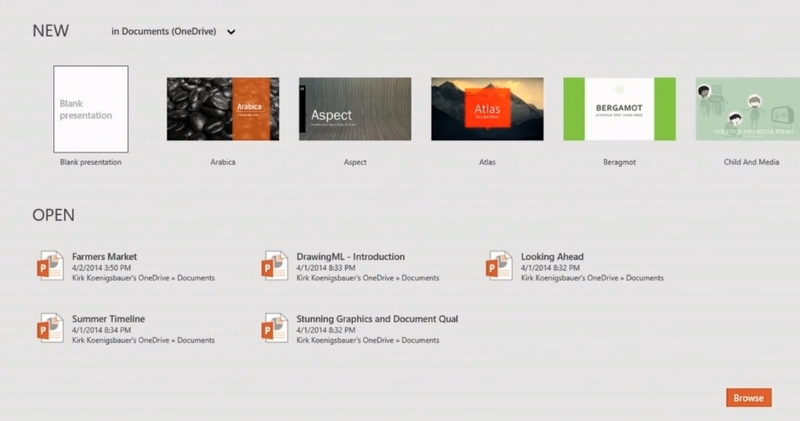 The tech giant managed to create a beautiful presentation of PowerPoint app. The app has the Ribbon in the top with a much more touch friendly UI. Microsoft also stated that they are working to bring touch gestures in Office for touch. Universal apps are just amazing and if you are a developer then you are going to love this feature. You can write the code once and you get your app working in two different platforms like the natively coded apps. Well it means you can create your app for Windows and re-use the same code to create the Windows Phone app. The app automatically adjusts itself to look great at every resolution across the diverse range of devices. 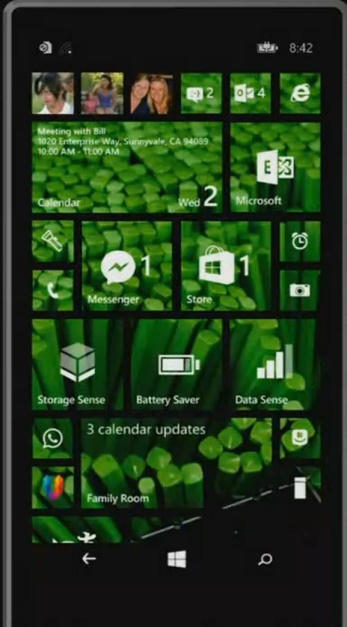 Windows Phone 8.1 was officially announced by Microsoft. Microsoft explained most of the major features with beautiful demonstration. WP 8.1 takes your Windows Phone a generation ahead with plethora new features and improvements. It brings the Start Screen customization to the next level as now you can set a picture behind the Start screen and magically your tiles become transparent and your start screen will look lovely.Also the number of tiles which can be pinned in rows has been increased, this can also be disabled. Now the Windows Phone 8.1 keyboard is the world record holder for the fastest typing keyboard as it brings the swype keyboard which means that now you can move your finger across the letters and voila your word would be typed. 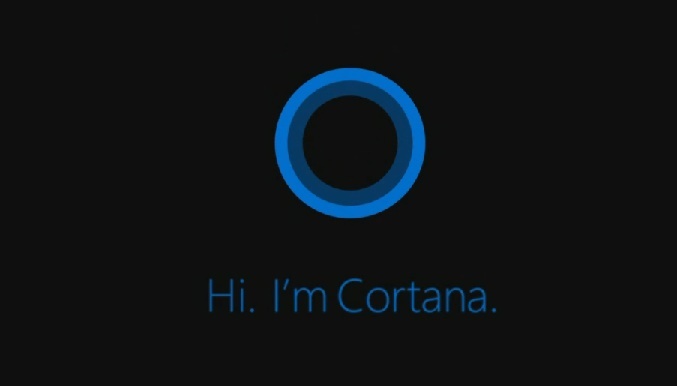 Cortana stands out in WP 8.1, the voice assistant which is personal for you, it understands you as you use it. She understands you,your interests and the people you know so that it can give suggestions. You can open an app, create an event and warn if you have any conflicts and much more... It is the first personal assistant which replies for your questions. There are much more features in WP 8.1 which make the Day 1 video worth watching. You can watch the full video here.